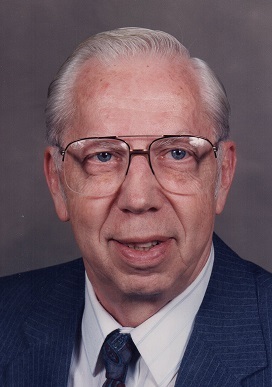 Lyle W. Schinke; 92, of Elkhorn, WI died Wednesday January 23, 2019 at Aurora Lakeland Medical Center. He was born January 18, 1927 in Elkhorn, WI. He was the son of the late Willie and Viola Marie (Walbrandt) Schinke. Lyle was united in marriage to Ida Bulow on September 10, 1949, Ida died September 17, 1959. Then on June 4, 1960 he married the former Shirley A. Breitenfield in Camdenton, MO. Lyle owned and operated Lyle’s TV and Appliance of Elkhorn, WI from 1954 until his retirement in 2006. He was a member of St. John’s Lutheran Church of Elkhorn, WI, Elkhorn Lion’s Club, Elkhorn Chamber of Commerce and Lakeland Builders Association. Lyle enjoyed spending time on the lake boating. He was a loving and devoted husband , father, grandfather and great-grandfather who will be deeply missed by his wife of 58 years, Shirley, five children: Joe Schinke of Cadillac, MI, Chris (Stu) Caddell of Menomonee Falls, WI, Debbie (Dave) Hollister of Lake Geneva, WI, Sue (Rich) Gauger of Glen Flora, WI and Tom (Sue) Schinke of Elkhorn, WI, son-in-law: James Sendt of Elkhorn, WI, nineteen grandchildren and sixteen great-grandchildren, one brother: Merle (Mary Lou) Schinke of Elkhorn, WI, two sisters, Elvira Fazel of Janesville, WI and Beverly Jones of Georgetown, TX and by a host of other relatives and friends. Lyle was preceded in death by his wife: Ida, two infant daughters and an infant son, his daughter: Lynette Sendt, two grandsons: Jamie Sendt and Billie Anderson. Funeral service will be 12:00 PM (Noon) Tuesday January 29, 2019 at St. John’s Lutheran Church 104 S. Broad Street Elkhorn, WI with Rev. Tom DeGroot officiating. Burial will be at Hazel Ridge Cemetery Elkhorn, WI. Visitation will be Tuesday at the church from 9:00 AM until time of service. Memorials may be made in Lyle’s name to: Lauderdale-LaGrange Fire Department W6080 Hwy 12 Whitewater, WI 53190. On-line guestbook is at www.haaselockwoodfhs.com. Arrangements completed by Haase-Lockwood & Associates Funeral Homes Elkhorn, WI.